Whether you enjoy Mopar or Ford Aero Warriors, our club has something to offer you. We welcome all owners and admirers of Daytonas, Superbirds, '69 Charger 500s, Ford Talladegas and '69 Mercury Cyclone Spoilers, and Spoiler IIs. 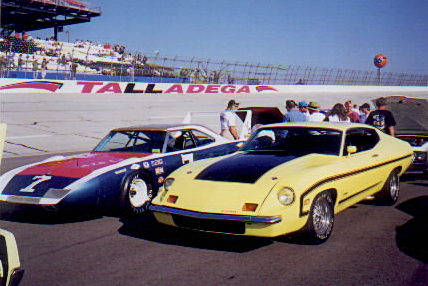 Some of our members own Talladegas and Spoilers. Some own winged cars or Charger 500s. And some members own at least one of each! But ownership is not required to join the club. Our group was founded in 1975, and we currently have about 600 members across the world. We have always been friendly towards the Ford aero cars, and in 2001, we assumed responsibility for the Talladega and Spoiler Registry, founded by Mark Moses. 2019 member dues are $25 worldwide. To renew or join, send $25 by mail to the address below. Or, if you use Pay Pal, send your $25 to paydsac@hotmail.com from the Pay Pal website.